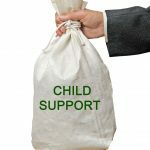 What Happens to Back Child Support when the Non-paying Parent Dies in Florida? 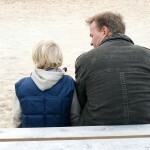 Divorces involving minor children can be difficult for all parties. It is not easy for one parent to be separated from a child, or even to have a court restrict a parent’s time with the child. 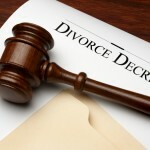 There are times, however, when not everybody is as cooperative as they should be when involved in the divorce process. 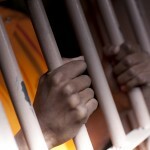 Sometimes a parent that is ordered to pay child support to another parent fails to make good on those payments. 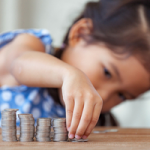 In such a situation, the missed support payments are referred to as “back child support,” or “arrears.” Fortunately, the court has its own ways of compelling payments. A larger question arises, however, when the parent responsible for paying child support dies. Before looking to what happens after the death of the parent in arrears, however, it is first important to understand the basics of back child support. Ordinarily, if a parent responsible for paying child support fails to make regular payments, the parent receiving payments can go to the court. The court will then order the non-paying parent to either continue make payments, or repay the missed payments, whichever is necessary. If the non-paying parent continues to fail to make child support payments, or fails to modify the support judgment, then the court may bring certain penalties on the non-paying parent, including garnishing wages, seizing property, suspension of licenses, and in some cases, jail time. In addition, unlike a child custody determination, a court’s jurisdiction over the parties does not change based on where the minor child is living. This means that if an order for support was made in Florida, and the parent with custody over the child moved to Arkansas for a few years, the non-paying parent would not be able to then modify the judgment in Arkansas. The death of a party responsible for child support payments ends that obligation almost immediately. Death does not, however, erase all responsibilities. If a decedent (deceased person) owed back child support at the time of death, then the money owed before death would still be owed after death. The debt would carry over, and would then be a responsibility of the decedent’s estate. The big question then, is what does a parent do in this situation? Once a person has died, the issue then involves the probate law of the state with jurisdiction over the decedent. So, if a person died in Florida, the probate laws of Florida would regulate the management of the decedent’s estate. It should be noted that any real estate in other jurisdictions will be regulated by that jurisdiction’s probate laws and court. As it can be seen, back child support is low on the list of payment order. To add further strain to this is the rule that each payment must be made in full before consideration of the next class can occur. After making a payment to a preceding class, if the estate is insufficient to pay for the next succeeding class, the assets remaining in the estate will be divided to provide for proportional payments to each creditor. This can be especially problematic if the decedent owed a large amount of back child support, if the decedent incurred a large amount of debt with other creditors, or had very little in the estate to meet the debts of the creditors. Fortunately, the law also allows the personal representative to obtain money that the decedent had placed into trust, but only if the decedent had a right of revocation at the time of death. This means that if the parent dies while owing back child support, and left all of his money to his brother through a revocable trust, the brother would then need to provide the personal representative with as much money from that trust as is necessary to meet the debts of the decedent. This prevents the decedent from avoiding probate, and thereby avoiding obligations to pay back child support. It is important to note, however, that not just any trust can be used towards meeting the decedent’s debts in this situation. The trust must be revocable, which means that the decedent must have had the ability to change the beneficiary during his life. A personal representative will not be able to obtain funds from any other kind of trust. Before you do anything else, it is vital that you find an experienced attorney to assist you in matters concerning family law. The family law process can be both complex and nuanced, and going through the process alone could make things more difficult in the long run. The benefits of an experienced attorney include the ability to navigate the legal system and provide you with a much better chance at protecting yourself and your child. Even though there are situations where the decedent may have no assets with which to pay a child, a skilled, educated attorney will still be of use.